The trucking industry is an essential asset to South Carolina’s transportation, distribution and logistics cluster. According to the South Carolina Trucking Association, over 80 percent of communities in the Palmetto State depend exclusively on trucks to move goods. Trucks transport 84 percent of total manufactured tonnage in the state, or 424,585 tons per day. 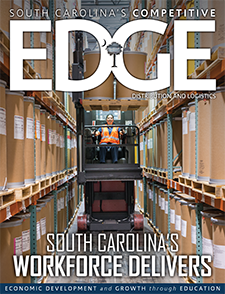 In 2013, South Carolina’s trucking industry provided 88,370 jobs, or one out of 17 in the state. 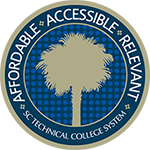 Recognizing the critical need for skilled CDL drivers, the SC Technical College System is taking a proactive approach to developing this workforce. The system convened a study committee to develop ideas with multiple public and private partners, have started a workgroup of coordinators of the college CDL program across the state, and have secured multiple grants supporting the colleges’ programs and students. In addition, 13 technical colleges provide CDL training across the state, and Apprenticeship Carolina™ is partnering with local businesses to develop CDL apprenticeships.